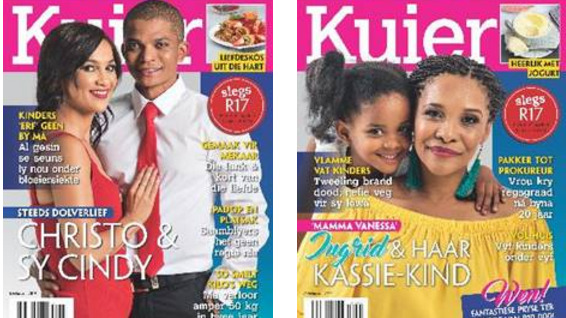 According to Ads24, Kuier embodies a sense of community through its mix of content that offers advice on everything from parenting and finance to fashion and healthThaty. Here, the team at Ads24 unpack their insights. The magazine aims to inspire South African women through motivational stories of people who have overcome the odds to achieve success and serve as role models for others. The literal translation of the word 'kuier' is ‘to visit’, but the actual meaning carries far more weight and is a versatile Afrikaans word, meaning getting together for meaningful conversations over coffee, a meal, a braai or perhaps a few drinks. It’s a word that carries the notion of warmth, family and friendship that endures over the years. At its essence, Kuier aspires to personify pride, elevation and progress, says the publication’s editor, Kay Karriem. “We encourage pride and self-acceptance in every facet of our readers’ lives. We want them to feel they can express who they are and still be accepted and acceptable,” adds Karriem. “In terms of passion, it’s all about the positive energy and attitude we bring to everything we do in our lives and how we interact with the world. Progress, meanwhile, represents our belief that everything is possible. Through our features, we want to show readers that no obstacle is insurmountable,” says Karriem. 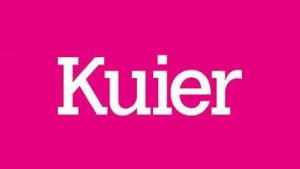 Kuier was originally conceived as a title to fill a gap in the market, namely a coloured, Afrikaans female readership mostly based in the Western Cape; however the publication has grown organically to appeal to a wide range of South African and Namibian readers, who share solid family values and are looking for practical and realistic advice to navigate life. This sense of shared ideals and community carries through to the popularity of Kuier’s various platforms, which encourage interaction and feedback from readers. “Our engagement with readers on social media is truly amazing and of course they write to us and send us text messages. But what really sets Kuier apart is that our readers know our writers and staff by their first names. It is not unusual to be on a train or bus and have someone talk to you about the latest issue,” says Karriem. “Our events are in high demand and hugely successful and almost always sell out within the first few days of the tickets going on sale — with the fastest sell out happening within 10 minutes for one of our Mother’s Day events,” adds Karriem. For brands, Kuier’s strong sense of community provides an opportunity for close engagement with its readers across its print, social and TV platforms. When it comes to Kuier, print is an incredibly strong platform for longer term engagement. "This market wants something tangible to call their own and they also believe in collectibles (which is hard to do with digital) so they can show everybody how many issues they have," says Karriem. According to Karriem, this tactile approach worked well for Robertson’s Spices recent drive to reach the Western Cape market. Kuier came up with a multi-platform campaign that included an advertorial series about the product to educate readers about the origin and quality of the spices. "The key differentiator was that we were able to find the perfect personality to headline the campaign — ‘Cass Abrahams’,” says Karriem. “This is a proven example of how we were able to use our in-depth knowledge of the market and influence to put together a winning campaign. As a result, Robertson sales in the Western Cape increased significantly," concludes Karriem. You can follow Kuier on Facebook or on Twitter.